WESTON. W.Va. — Appalachia needs ethane storage facilities and connecting pipelines if the region is to become a center for industries that use natural gas and its byproducts, according to a top West Virginia University researcher. Brian Anderson, director of West Virginia University’s Energy Institute, told members of the West Virginia Oil and Natural Gas Association that if storage and pipeline infrastructure isn’t built, the region risks having its valuable natural gas resources siphoned off to the Gulf Coast, where facilities already exist to turn the resources into thousands of products. Anderson, a Roane County native, is a graduate of West Virginia University and the Massachusetts Institute of Technology. He spoke May 19 at the oil and natural gas association’s Spring Meeting at Stonewall Resort. The Marcellus and Utica shales have been driving U.S. gas production since 2008 and there are decades if not centuries worth of gas yet to be tapped, Anderson said. WVU has responded by creating the Energy Institute and by hiring nine faculty who are tasked with looking into how the region can tap into this valuable raw material. They’re investigating opportunities that range from power production to natural gas vehicles to heating homes to converting natural gas into chemicals. “We’re really trying to work on everything on the downstream side,” he said, referring to the refining, processing and purifying of raw natural gas, as well as the marketing and distribution of products derived from natural gas. 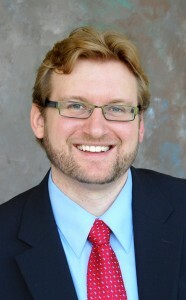 Because many products currently made with oil also can be made with natural gas and natural gas is currently relatively cheap, it’s possible to shift from an oil-based economy to a natural gas economy, although numerous challenges must be overcome in process synthesis, reaction engineering and other areas, Anderson said. Even though billions of dollars have already been invested in the region’s natural gas fractionation and de-ethanization facilities, there remains such an oversupply of ethane in the region that vast quantities are being rejected by existing pipelines, he said. “What can we make from ethane? The answer is a lot of the products we use every single day. We are sitting on one of the world’s largest stocks of ethane at the moment and we are currently rejecting a lot of that raw material into our natural gas pipeline infrastructure which, once it gets into the gas pipeline, if it doesn’t hit a deethanizer it doesn’t get fractionated (separated) again — it’s burned in a natural gas power plant. We’re losing the value of that ethane as soon as it hits the flame in that power plant. The Appalachian region enjoys a location advantage over the Gulf Coast because of its proximity to densely populated cities in the eastern United States. The region also enjoys an ethane price advantage over the Gulf Coast “but the price spread will not last forever if we build pipes to Texas,” he warned. Anderson isn’t alone in advocating the creation of an Appalachian storage hub and pipeline system. Steve Hedrick, president and chief executive officer of the Mid-Atlantic Technology, Research and Innovation Center, known as MATRIC, recently said, “We cannot take advantage of the Utica, Rogersville and Marcellus shale opportunity without infrastructure to support the demands and needs of the associated industries. The hub would consist of underground storage units and pipelines that would connect key facilities, mostly along the Ohio River, from Shell Chemical Co.’s proposed ethane cracker in Monaca, Pa., to Marathon Petroleum Corp.’s refinery in Catlettsburg, Ky. The network also would include a pipeline connecting the Kanawha Valley’s petrochemical plants. Anderson said several organizations have joined together to investigate potential subsurface storage options for liquid ethane in the region. The study will be funded with a $100,000 grant from the Claude Worthington Benedum Foundation if interested companies come together and match the Benedum Foundation grant.